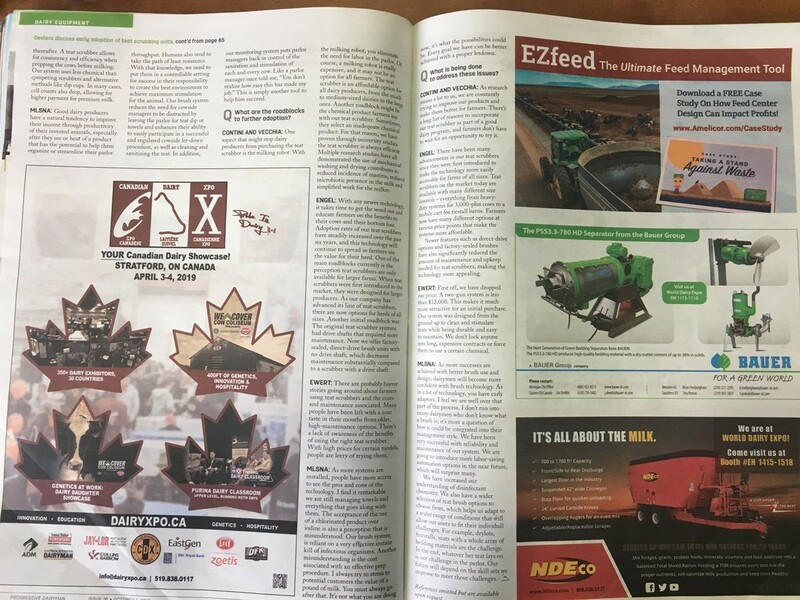 The word is out around the world about our teat scrubber and its impact on consistency and milk quality! 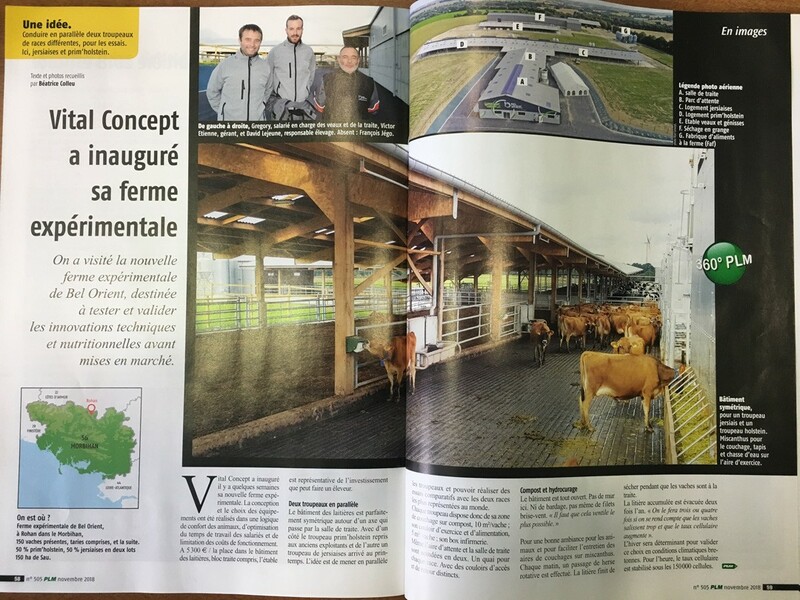 The articles here below (one promulgated in the French magazine “Production Laitiere Moderne PLM and one published in the American magazine Progressive Dairyman) talk about the adoption of our teat scrubber. 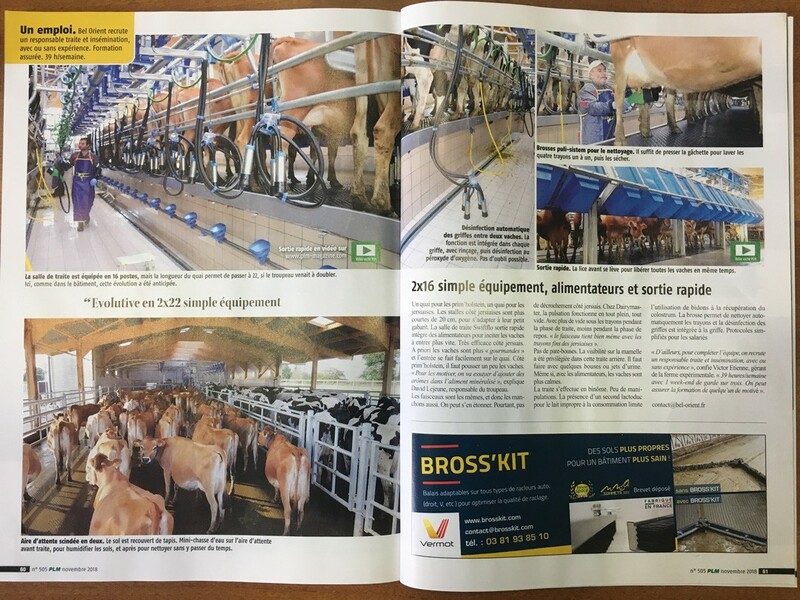 The French report states that in the experimental farm De Bel Orient, they manage their dairy with cow comfort, time and cost savings, efficient and consistent milk production in mind. For this reason, they’ve decided to embrace the Puli-sistem teat scrubbing technology. 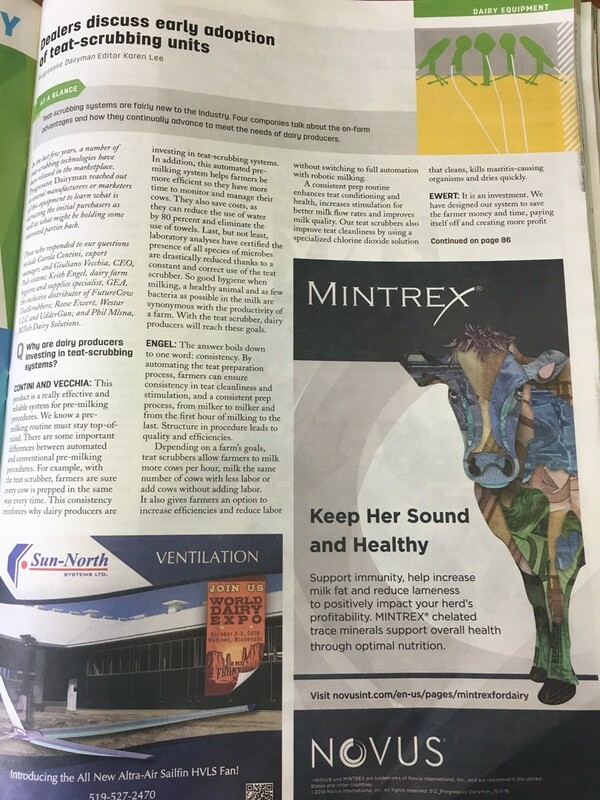 On the other hand, in the US article, we had the opportunity to explain why dairy producers have to invest in our teat scrubber systems. 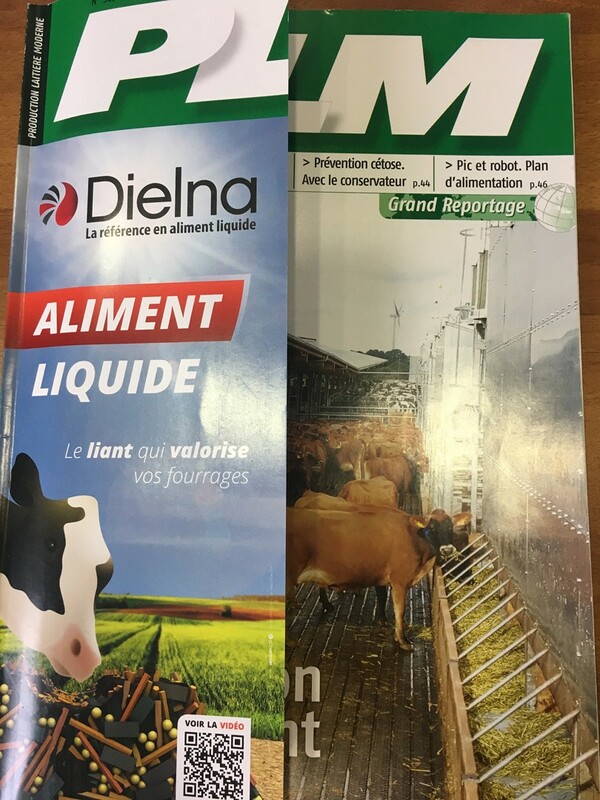 Because the Puli-sistem product is really effective and reliable for pre-milking procedures. Actually, with our teat scrubber, farmers are sure every cow is prepped in the same way every time. 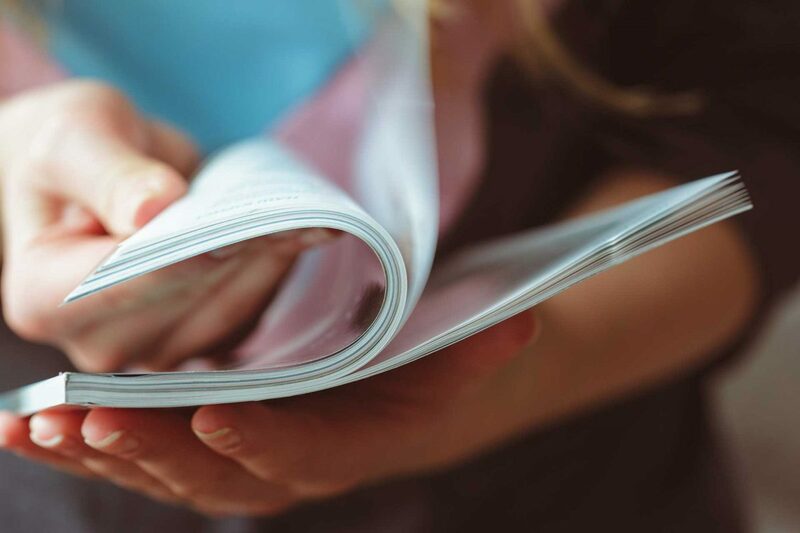 Namely by automating the teat preparation process, farmers can ensure consistency in teat cleanliness and stimulation, and a consistent prep process, from milker to milker and from the first hour of milking to the last. And last but not least, thanks to a constant and correct use of our teat scrubber the presence of all species of bacteria are drastically reduced. 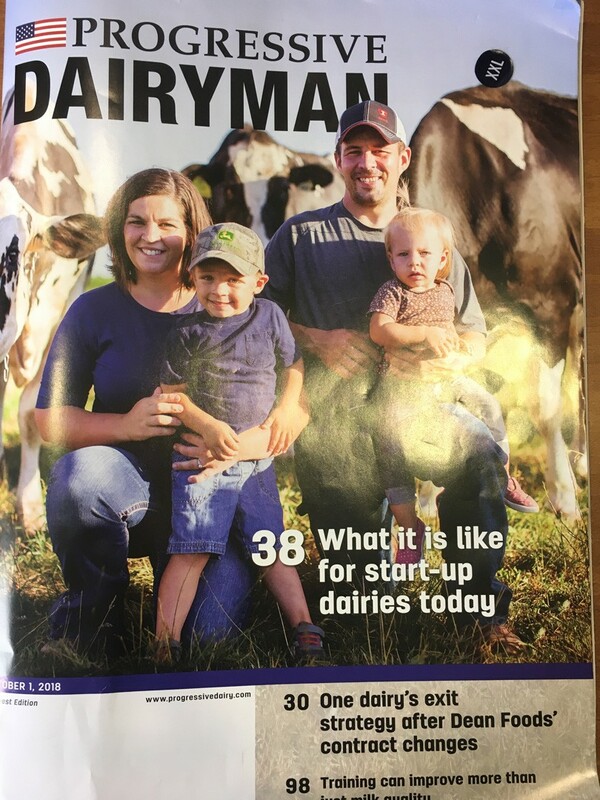 So farmers don’t have to wait for an opportunity to try our teat scrubber!! !